Showing 1 - 20 of 128 results. Photograph captioned by BeckerFraserPhotos, "Now that the grass has been mown in Victoria Square, this view is almost the way we remember it". The Town Hall viewed from Victoria Square. 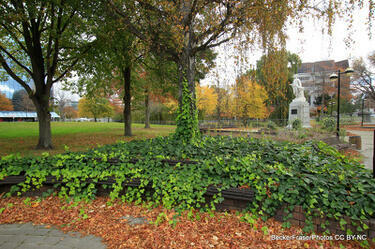 The Ferrier Fountain is no longer running and weeds have grown in its bed. 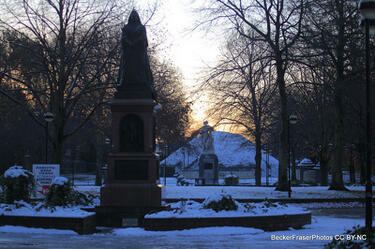 Photograph captioned by BeckerFraserPhotos, "Victoria Square". Photograph captioned by BeckerFraserPhotos, "The intersection of Colombo and Armagh Streets looking west". 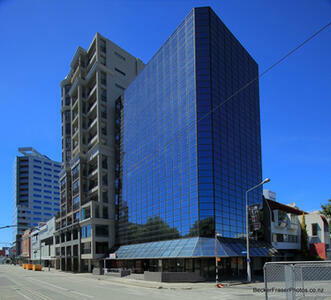 Photograph captioned by BeckerFraserPhotos, "The intersection of Colombo and Armagh Streets looking north". 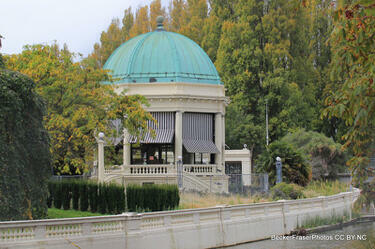 The Edmonds Band Rotunda on Cambridge Terrace, with wire fencing around the building. Weeds have grown in the garden and along the balustrade. 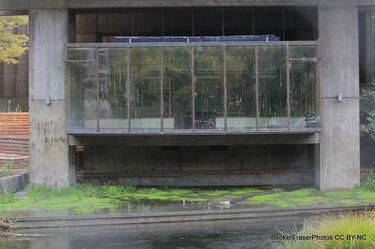 Bird droppings on the windows of the Town Hall, and weeds growing in the fountain bed below. 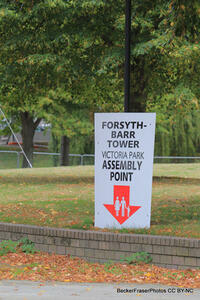 A sign in Victoria Park reading, "Forsyth Barr Tower, Victoria Park assembly point". 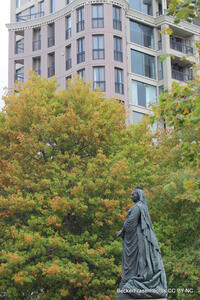 The statue of Queen Victoria in Victoria Square with the Victoria Apartments in the background. A photograph of buildings along Armagh Street near Victoria Square, including the Victoria Apartments and the Forsyth Barr Building. A noticable forward lean can be seen in the Victoria Apartments. 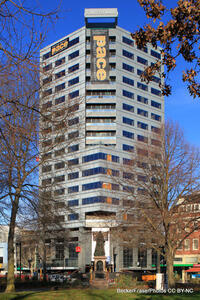 Photograph captioned by BeckerFraserPhotos, "Craig's building, 90 Armagh Street". 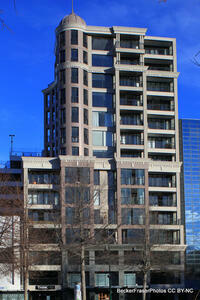 Photograph captioned by BeckerFraserPhotos, "The Victoria Street Apartments". 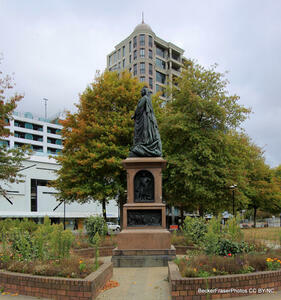 Photograph captioned by BeckerFraserPhotos, "The Forsyth Barr building viewed from Victoria Square with the Queen Victoria statue obscuring the doorway". 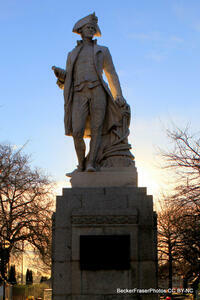 Photograph captioned by BeckerFraserPhotos, "The statue of Captain James Cook in Victoria Square". 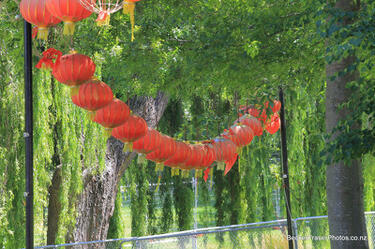 A photograph captioned by BeckerFraserPhotos, "Chinese lanterns in Victoria Square. 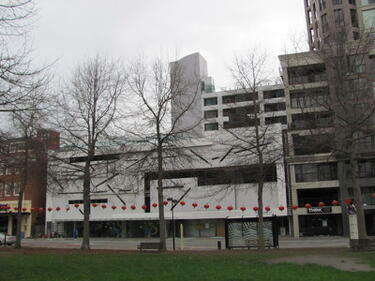 These were erected ito celebrate the Chinese New Year before the February 22nd earthquake. 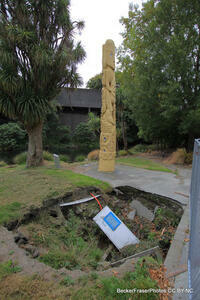 Ten months later, they look a little bedraggled". 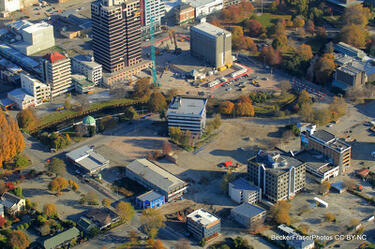 Photograph captioned by BeckerFraserPhotos, "Cambridge Terrace, central city and Band Rotunda (centre left)". Photograph captioned by BeckerFraserPhotos, "Looking across Victoria Square in the early evening to the snow covered heap of rubble that is the remnants of the Crowne Plaza". 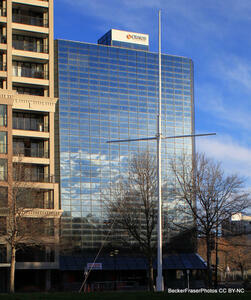 A photograph of a building on Armagh Street, taken from Victoria Square.